Hortonworks has announced the general availability of Hortonworks Data Analytics Studio (DAS). 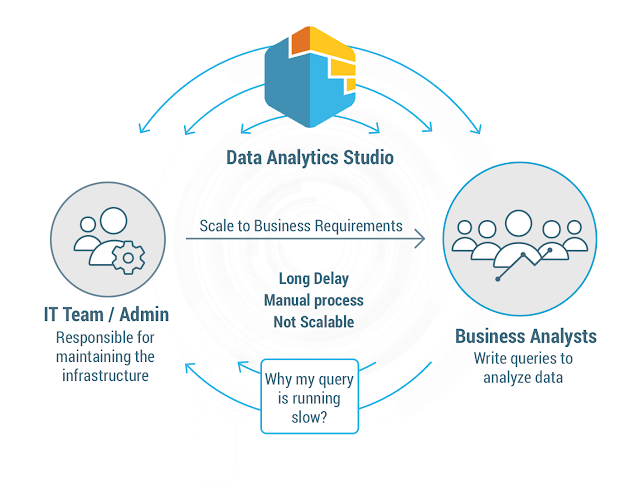 A new service to enable enhanced productivity of business analysts by delivering faster insights from data at scale. DAS is part of the Hortonworks DataPlane Service (DPS). DPS enables businesses to discover, manage, govern and now optimize their data spread across hybrid environments. DAS leverages open-source technologies such as Apache Hive to share and extend the value of a modern data architecture in heterogeneous environments. It includes a useful database heat map. Hortonworks have also shared the Open Hybrid Architecture Initiative, designed to enable big data workloads to run in a hybrid manner across on-premises, multi-cloud and edge architectures. Designating workloads specific to use cases such as EDW, data science, rather than sharing everything in a multi-tenant Hadoop cluster.